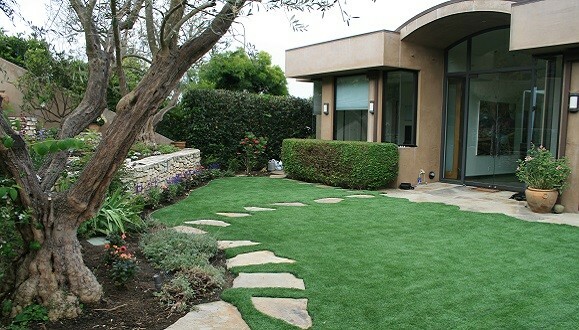 For the ultimate look in thick, green, lush lawns, Luxury Lawn is the top choice high quality synthetic turf for upscale residences and urban developments. 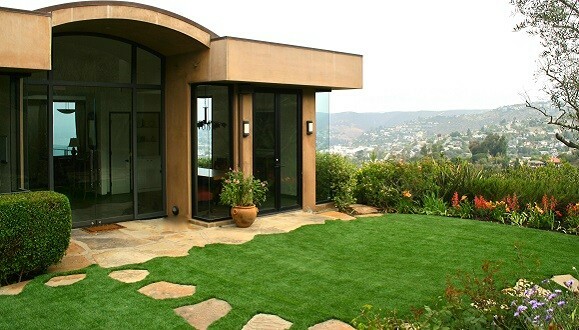 Luxury Lawn is part of PolyTurf's exclusive Luxury Collection, our top-of-the-line landscaping artificial grass. 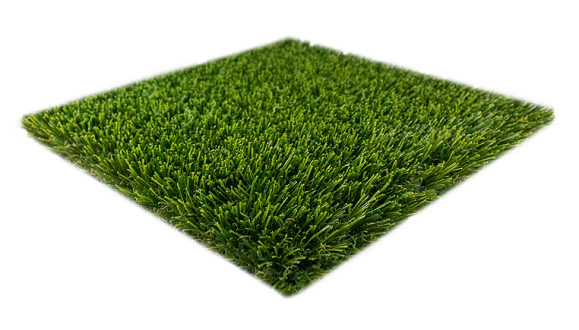 This luxurious synthetic turf comes in a beautiful two-tone spring green color with a green thatch, making it a lush green yet natural looking turf option. Luxury Lawn is resilient, tall, and dense. The full thatch zone and high fiber weight ensures the grass blades will stand tall without falling flat. 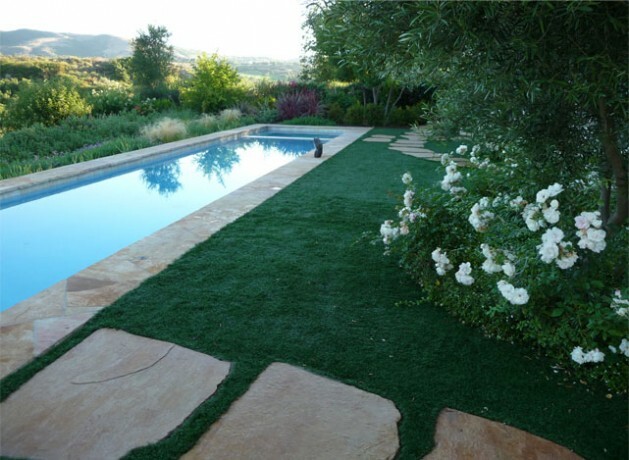 Luxury Lawn features PolyTurf's BioCel soy-based backing, making this a more environmentally friendly synthetic turf option. If you want the finest, most attractive, thickest, richest looking synthetic turf for landscaping available anywhere, Luxury Lawn is it!